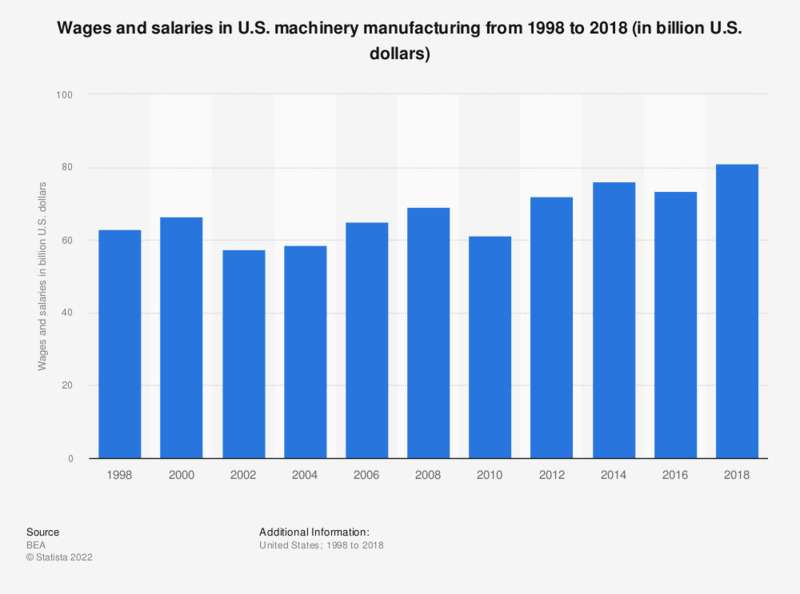 This statistic represents wages and salaries paid to machinery manufacturing employees and staff in the United States from 1998 to 2016. In 2016, a total of around 91 billion U.S. dollars was paid in wages and salaries to people engaged in U.S. machinery manufacturing. All values have been rounded to provide a better understanding of the statistic. This statistic contains values in current U.S. dollars.